Sesame Street Live! Let’s Party! is coming to town! Sesame Street Live! Let’s Party! is coming to town! It is playing in San Jose at City National Civic January 19-20. 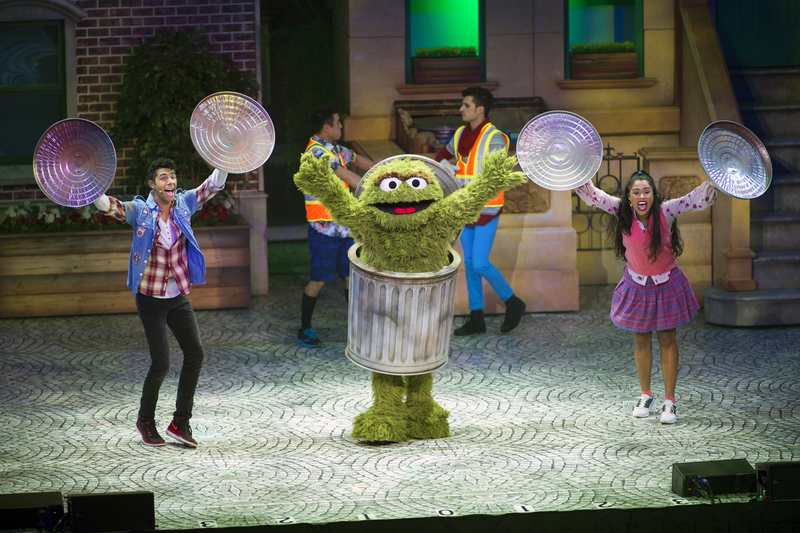 Sesame Street Live is a live stage show with all your favorite funny, furriest and interactive characters! Don’t miss it. For a bonus, you can get your tickets with a sweet 20%-off discount when you buy your tickets on the ticketmaster with promo code INF1. Sesame Street Live! Let’s Party! is such an institution that my husband saw it when he was our son’s age. But, the show is not the same as it was in the 80’s. It’s been through dozens of versions and “Let’s Party!” (the newest iteration) just recently started it’s run, in fall 2017. I know Sesame Street Live! Let’s Party! will be good because it’s produced by Feld Entertainment. This company knows how to make great shows. You probably heard about Disney on Ice, Marvel Universe Live, Monster Jam; all these shows are made by Feld Entertainment. 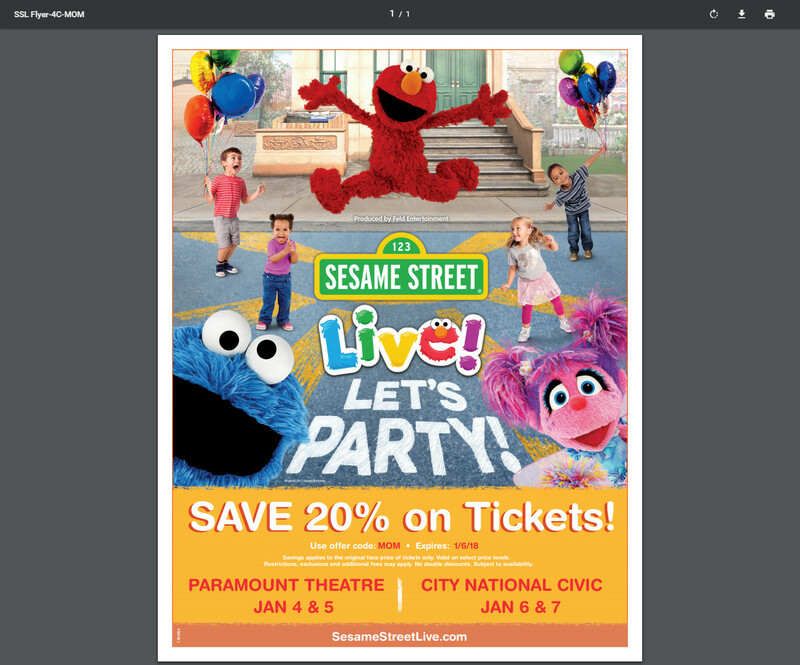 So hurry up, enjoy your favorite characters: Elmo, Cookie Monster, Big Bird, Kermit the Frog, Abby Cadabby and more! It will be fun. 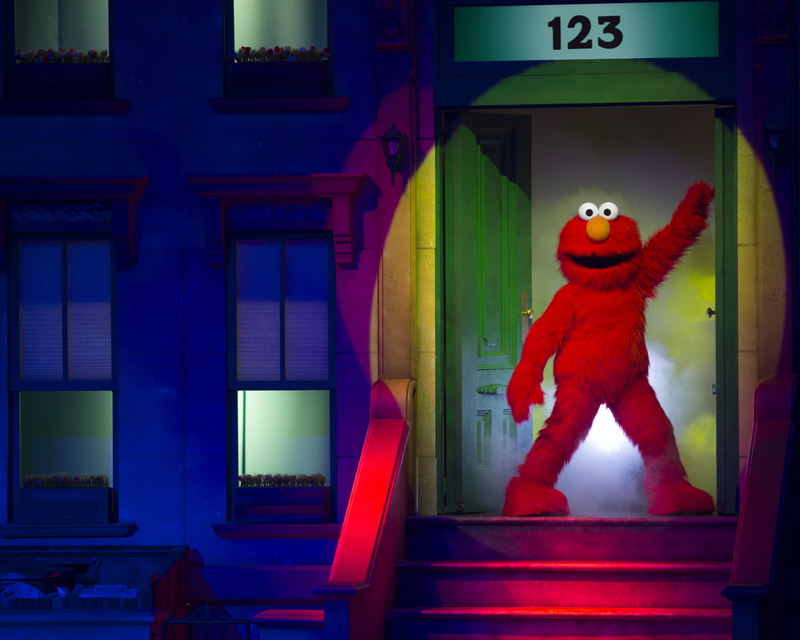 Here is a sneak peek of Sesame Street Live! Let’s Party! 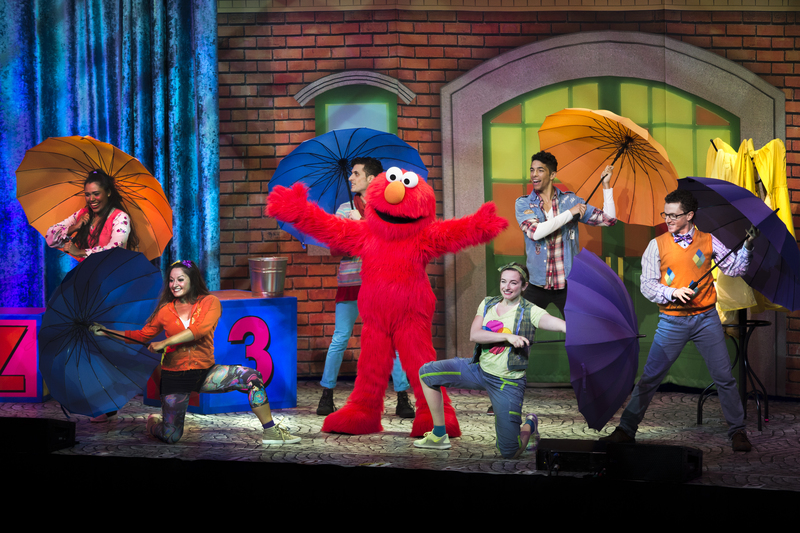 Kick your feet to the beat at Sesame Street Live! Let’s Party!